I teach yoga and relaxation skills for HABIT Healthy Action to Benefit Independence & Thinking Program® at Mayo Clinic Florida. It turns out there is scientific evidence for this saying. Laughter decreases stress, improves your mood, and makes you more resilient. Laughter is also good for your relationships. 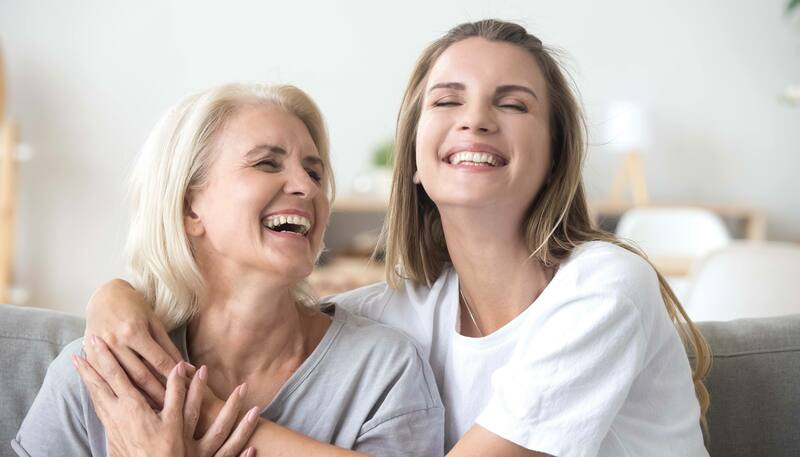 Laughter serves as a powerful tool and safety valve for dealing with conflict and reducing tension when emotions are running high. Relieve pain. Laughter causes the body to produce its own natural painkillers. Improve your mood and decrease depression and anxiety. Laughing with others releases endorphins, natural substances that make you feel better and happier. Laughter can lessen depression and anxiety. Brings people closer together. Laughter binds people together. It’s contagious. Couples who laugh together report having better relationships. New perspective. Studies show that our response to stressful events can be altered by whether we view something as a threat or a challenge. Humor can give us a new perspective and help us view the situation as a challenge and thus less threatening. It can help one reframe a problem. Increase resilience. A sense of humor can help one bounce back from adversity. Laughing at our mistakes helps us to recognize making errors is part of life. Find items that make you smile or chuckle. Read the daily comic strips or read online joke websites. Place or hang items, such as comic strips, photos or greeting cards in your home or office. Make a list of comedies, funny books or online videos to have on hand when you need a boost of humor. Listen to your favorite comedian. Frame photos of you and your family or friends having fun. Share laughter with friends. Spend time with people who make you laugh and are fun people. Browse through joke books or online jokes and find jokes to share with friends. Focus on finding laughable moments in your day. Look for the humor in difficult situations. Find a way to laugh about your situation and notice the decrease of tension in your body. 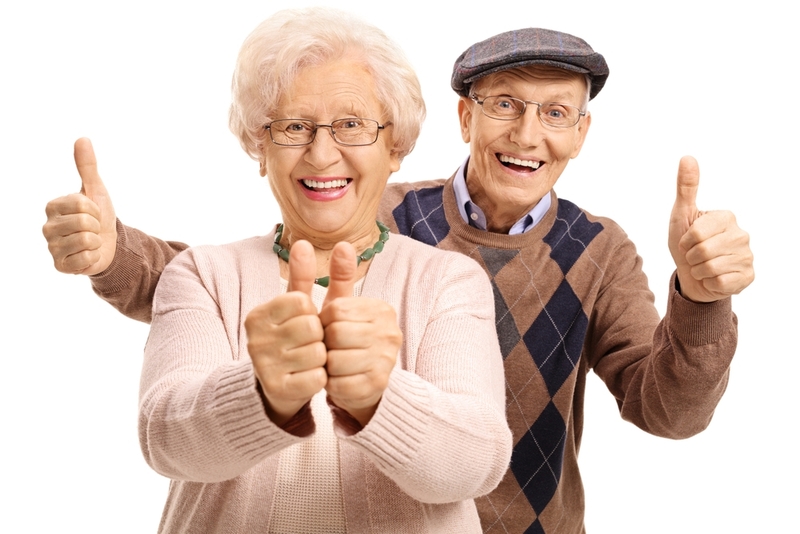 Consider Laughter Yoga classes. In “laughter yoga” people practice laughter as a group. It feels awkward at first, but soon the laughter becomes spontaneous and contagious. Know what is not funny. Some forms of humor are inappropriate. Never laugh at the expense of others– laugh with people– not at people. Laugh at least once a day. You cannot overdose. I invite you to try. Smile- it’s the beginning of laughter. Think of something funny. Give a laugh even if it feels unnatural. Notice how you feel. Doris thank for your kind words. It warms my heart to hear that you were able to use the techniques. Hope your dear Mom is doing better. Debbra thank you for your kind comments. I look forward to hearing about your experiences. Would having Thanksgiving every day improve our health? Yes. But this doesn’t mean heaping our plates full of turkey, gravy, stuffing and pie daily. It means being grateful every day. 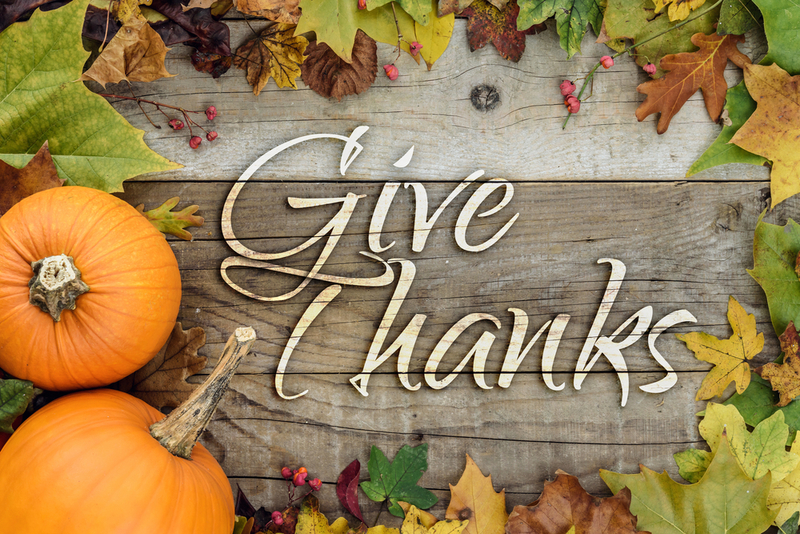 One of the special things about Thanksgiving is expressing our gratitude. The holiday reminds us to pause, reflect and see the blessings in our lives. Can we be grateful every day even when we feel overwhelmed or when upsetting events occur? Yes. That’s when you need an extra dose of gratitude that can give you a new perspective. Gratitude is an attitude – a sense of appreciation for the gifts in our life. Research shows that practicing gratitude can make you healthier and happier. It improves sleep, boosts immunity and improves relationships. Focusing on blessings can help ward off depression and build resilience in times of stress and grief. While we can’t always choose what happens to us, we can choose how we feel about it. Start The Day With Gratitude. As soon as you wake up, before you get out of bed, practice gratitude. Take a few deep breaths and think about three people in your life that you are grateful for. While breathing in slowly and deeply, visualize the first person. Then send him or her your silent gratitude as you breathe out. Repeat the exercise with each person. To remind you to do this practice, write a sticky note with the word “Gratitude” on it and post it in your bathroom or put it in your calendar. Keep A Gratitude Journal. Studies suggest that writing in a gratitude journal one to three times per week might actually have a greater impact on our happiness than journaling every day. Write down three things for which you feel grateful. The things you list can be relatively small in importance, such as someone opening the door for you or feeling a breeze on your face. The goal of the exercise is to remember a good event, experience or people in your life—then savor the positive emotions that come with it. Write down how these events made you feel at the time and how this event makes you feel now. Count Your Blessings, Not Sheep. Before going to sleep or if you awaken during the night and can’t sleep, review the things you have done that day and the people in your life and look for moments that make you realize how fortunate you are. Meet others talking about how they incorporate gratitude into daily life in the gratitude discussion. We all want to be “happy” but what does that actually mean and what can we do in our daily lives to be happier? Fortunately, researchers have begun to understand what really helps us to be happier and more resilient to life’s challenges. Gratitude is an attitude – a sense of wonder and appreciation for the gifts in your life. Research shows that practicing gratitude can make you healthier and happier. Focusing on blessings can help ward off depression and build resilience in times of stress and grief. Keep a gratitude journal. Each day write down three things that went well for you. Provide an explanation of why you think it went well. How did this made you feel? Count your blessings– not sheep– before you go to sleep. Review the things you have done that day and the people in your life and feel a sense of gratitude. Our connection with other people is basic to our happiness. Meaningful relationships boost happiness, cognitive abilities and health. Nurture your relationships with friends and family. Express your appreciation to them for the things that you may take for granted. Try to listen to what they have to say without making judgments. Compassion is a strong feeling of sympathy and sadness for other people’s suffering and a desire to help. Research shows that we are born with an inherent sense of compassion that is essential for bonding and connecting with others. Giving or receiving compassion helps you enjoy better mental and physical health. Let someone go ahead of you in the checkout line or in traffic. Take time to really listen to someone. Be compassionate to yourself. This is not self-pity. You’re simply recognizing that “this is tough, this hurts.” Give the same warmhearted compassion to yourself as you would to any friend grappling with the same challenge. Studies have shown that self-compassion has many benefits including lowering stress and increasing resilience. Studies show that having a sense of purpose enhances happiness. Make a list of activities that bring meaning to your life. Try to do one activity each day. Join an organization with a cause you find important. · Focus on the present moment. When not in the present, the mind wanders and tends to ruminate on negative thoughts. · Accept your emotions. It is vital to have an emotional balance. One cannot experience happiness at the expense of avoiding other important emotions, such as fear, sadness, anger or guilt. Accepting these emotions as a part of life help us live a healthier emotional life. · Look for opportunities to savor the pleasures of everyday life. · Spend time in nature. Invest in your happiness today by trying at least one of the techniques. Comment below to let others know how these techniques work for you. Did you ever feel upset or stressed and have someone tell you, “Take a deep breath and relax.” Did you try it? Many relaxation practices use breathing techniques to promote a state of calm. 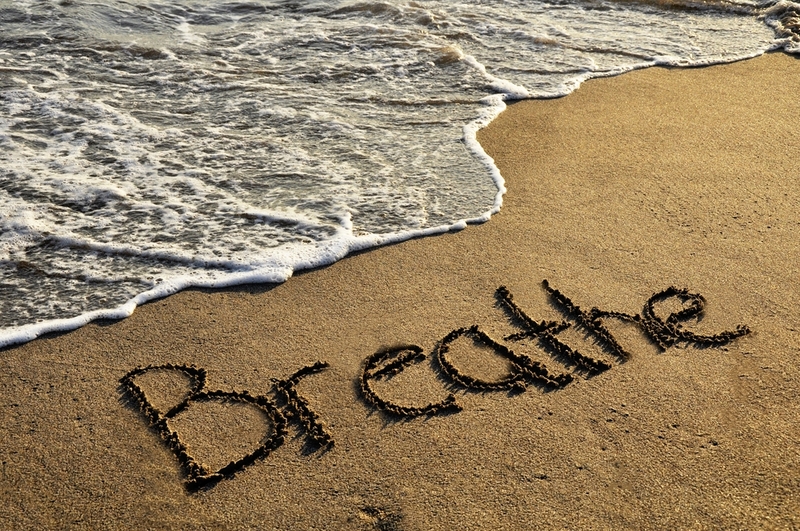 Deep breathing can decrease the effect of stress on your mind and body. It also can slow your heartbeat and lower or stabilize blood pressure. We can’t avoid all the sources of stress in our lives, nor would we want to. But, we can develop healthier ways of responding to them. During moments of stress, your thoughts may be drawn toward past regrets and worries about the future. Thankfully, you possess a readily accessible and free tool that can be used to manage stress right under your nose— your breath. Breathing can be your anchor to stay in the present moment -–in the here and now. Although breathing is something your body does naturally, it’s also a skill that can be enhanced. Chest breathing which uses secondary muscles in your upper chest. Chest breathing is helpful in situations of great exertion, such as a sprint. During stressful situations, you may inadvertently resort to chest breathing. This can lead to tight shoulder and neck muscles and even headaches. Chronic stress can increase these symptoms. Chest breathing can make you feel short of breath and anxious. Diaphragmatic breathing (Belly breathing) which comes from the body’s dominant breathing muscle — the diaphragm. The diaphragm is a dome-like muscle between the chest and the abdomen. This type of breathing is effective and a great way to reduce stress and tension. This type of breathing can be practiced in any position, but it is easiest to learn while lying down. Lie on your back on a flat surface or in bed, with your knees bent and your head supported. Relax your shoulder and neck muscles. If you wish, close your eyes. Pursed lip breathing will help you develop diaphragmatic breathing. Place one hand on your upper chest and your other hand below your rib cage. This will allow you to feel your diaphragm move as you breathe. Breathe in through your nose (as if you are smelling a rose) for about 2 seconds. Purse your lips like you’re getting ready to whistle or gently blow out candles on a birthday cake. Breathe out very slowly through pursed lips, while slowly counting to four. As you breathe in your belly should move outward against your hand. The hand on your chest should remain as still as possible. As you breathe out slowly through pursed lips, gently tighten your belly muscles. This will push up on your diaphragm to help get your air out. Notice how you feel after doing a few pursed lip breathing breaths? Now breathe in and out through the nose. Find a breathing rate that is comfortable for you. For example, you could slowly breathe in for four counts and out for four counts. Or, consider adding a short silent phrase to the breathing: “I am” on the inhalation and “relaxed” on the exhalation. Caution: Some people get dizzy the first few times they try deep breathing. If you become lightheaded, slow your breathing or temporarily discontinue the breathing exercise and try again at another time. Practice belly breathing about 5-10 minutes per day. This type of daily practice makes it easier to use the breathing technique when stressful situations arise. You can use this breathing any time, but especially when you are upset, anxious, have difficulty sleeping, or are experiencing pain. Try it now! We would love to hear how these breathing techniques helped you.